The new Dpocket dynamic touch communicator is versatile and easy to use. 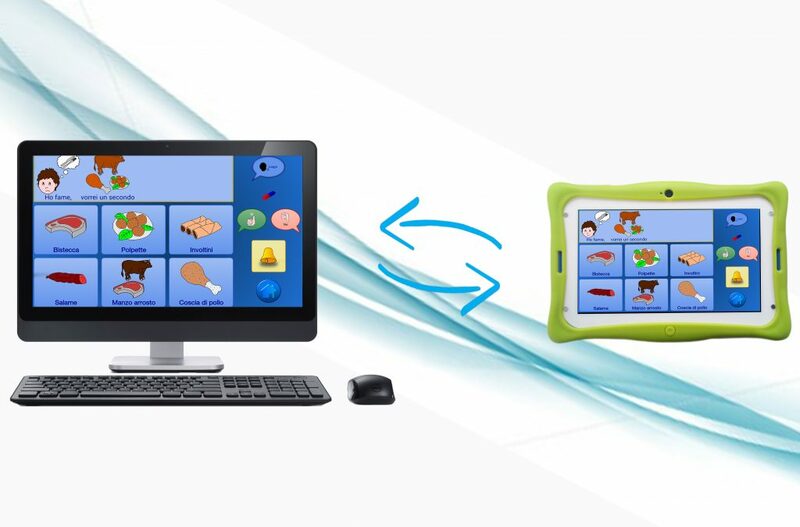 It fulfils all useful communication functions for individuals with autism. Working with the Dpocket dynamic touch communicator is practical and fast, especially thanks to its 7-inch touch screen. The Dpocket display uses IPS (In Plane Switch) technology, a new display technology that can improve the standard 80-90° viewing angle to an angle of 178°. The Dpocket screen was designed with capacitive-type touch screen technology, which reads the variation of pressure on the screen. These kinds of screens are used in latest generation smartphones. The augmentative and alternative communication software Dialog AAC can be used through the use of external sensors. For this, Dpocket must be used with the Dswitch Bluetooth interface. 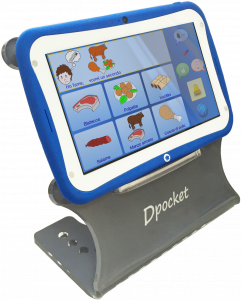 Dpocket is a medical device that allows anyone with an expressive language disorder to communicate effectively. It allows for communication with Android through the pre-installed Augmentative and Alternative Communication programme “Dialogo AAC”. Conditions are created so that the individual can communicate effectively. Thanks to its personalised and researched design and extremely comfortable foldable handle, the revolutionary EMD allows for multiple positioning methods. The sides of the Dpocket display are equipped with 4 special magnets that allow you to overlay interchangeable shields. These shields are plastic grids that mark off the cells on the display. The grids are useful for patients with motor problems. The DPOCKET protective case is made from a shockproof and non-toxic material that keeps the MD safe if dropped accidentally. The case material is a closed cell copolymer of ethylene and vinyl acetate. It has optimum elasticity, flexibility, mechanical resistance and dielectric properties. With Dialogo AAC, communicating has never been easier. 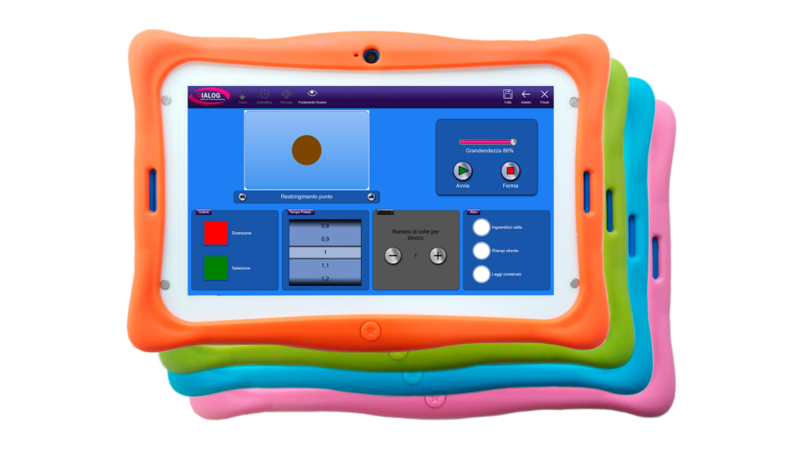 We combined the potential of the Dpocket dynamic touch communicator with the Dialog AAC software. Thanks to the Dialog AAC software, everyone has the possibility to communicate, including individuals with autism. A library of PACS images, which are useful for communication, comes with the Dialog AAC software. 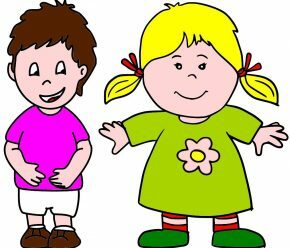 It includes animated images to make communication more engaging. With every Dpocket comes a free Dialogo AAC software licence for Windows that will allow users to use their own PC to freely create structures to be exported to the Dpocket. A library of PACS images, which are useful for communication, comes with the Dialogo AAC software. It includes animated images to make communication more engaging. The Dpocket communicator was produced in accordance with the essential requirements of Legislative Decree No. 47/97 of 24 February 1997 that incorporated Directive 94/42 CEE on medical devices, as amended by Legislative Decree No. 37 of 25 January 2010. The EMD Dpocket is registered at the Italian Ministry of Health as a “Medical Device” with registration No. 1290853/R and is registered in the medical devices directory with registration No. 1290853/R.